STAR WARS TITANIUM SERIES DIE CAST X-WING ACTION FIGURE! STAR WARS DIE CAST TITANIUM SERIES KASHYYYK SPEEDER BIKE ACTION FIGURE! 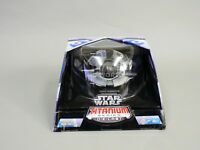 STAR WARS TITANIUM SERIES DIE CAST ARC-170 STARFIGHTER ACTION FIGURE! 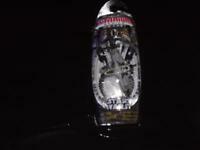 STAR WARS DIE CAST TITANIUM SERIES AMIDALA'S STAR SKIFF ACTION FIGURE! 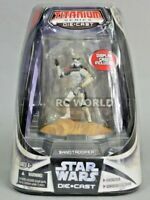 STAR WARS TITANIUM SERIES DIE CAST NABOO FIGHER ACTION FIGURE! STAR WARS TITANIUM SERIES DIE CAST SANDCRAWLER ACTION FIGURE! STAR WARS TITANIUM SERIES DIE CAST JABBA'S SAIL BARGE ACTION FIGURE! 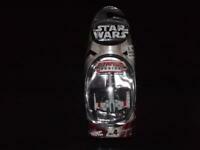 STAR WARS TITANIUM SERIES DIE CAST A-WING ACTION FIGURE! 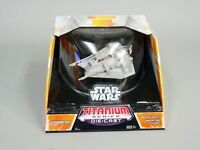 STAR WARS TITANIUM SERIES DIE CAST A-WING STARFIGHTER ACTION FIGURE! Immediate payment of C $35.00 is required.